How much time does it take for your reps to process orders and how many are entered manually. If you want to grow your business you could throw more people in there but the technology available today gives you many more options. By utilizing technology you can speed up your sales process, save time and money, increase your accuracy , and build customer service and loyalty. Sound to good to be true? It's nothing new, but by looking at existing processes and automating them the MDS-Nx system can give you the tools to grow your sales while keeping customers happy and making you a more profitable company. The volume of information arriving at your company’s doorstep every day is exhausting. As a successful distributor how can you efficiently manage the flow of incoming data? Let’s face it. Processing customer orders is the lifeblood of your business. But it’s also a major source of frustration. Purchase orders that need to be manually processed are slow, expensive, and prone to errors and surprisingly the majority of orders still need a human touch. utilizing the MDS-Nx System you can easily integrate customer purchase orders, send confirmations and advanced shipping notices, as well as invoices to your customers. or you can setup suggested quantities to help them re-order. Both these methods are electronic and can offer you increased speed and accuracy. and or you can create aliases for your competitors item numbers. 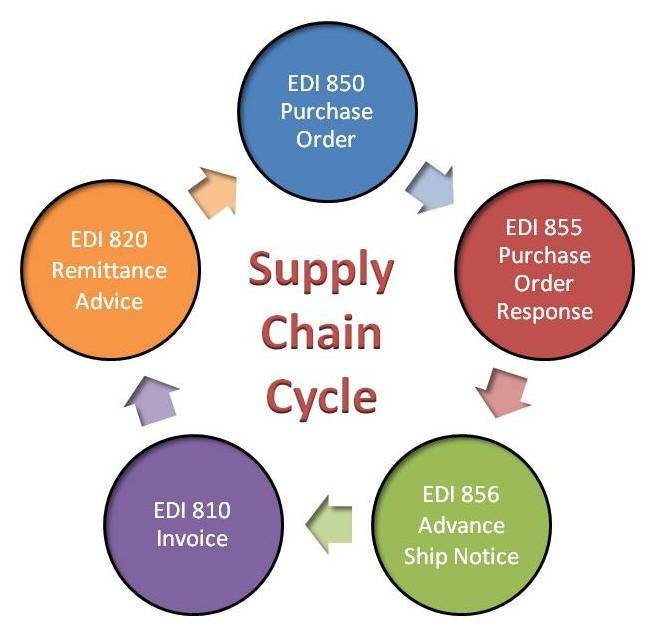 With EDI or uploaded spreadsheets 1000 line orders can be entered in seconds with little or no employee involvement. Exception handling is made simple with built-in logic that lets you identify and resolve issues immediately, ensuring your customers receive the parts they need on time. Item Checking is done automatically and pricing errors and quantity logic can be built in as well. In a world where time equals money, saving a lot of time can mean saving a lot of money. Reducing operational costs is a great way to immediately boost your company’s profitability. Running a lean business allows you to offer the best possible products at the best possible value making your customers even happier. When orders need to be manually re-keyed, it opens the door for natural human error. Just one innocent data entry error can result in the wrong part, quantity, color or even pricing. And even a 1% error rate is too high. Imagine if one customer sent in an order with 300 line items and received three wrong products!. Between extra shipping fees, wasted materials, credit notes, restocking costs, and even write-offs, fixing mistakes is very expensive. With automation, you can kiss internal errors goodbye once and for all. Getting orders right the first time every time means happier customers, while saving you a lot of time and money. Calling your team Customer Service unfortunately doesn’t make it true. Manual processing offers little value to your customers and it’s certainly not the best use of your most precious resource – your employees. With sales order automation, you can free up time you didn’t know you had by automating repetitive tasks. This leaves more time for actual customer service, exception handling, and problem solving. Employees can deliver additional business value by making time for data analysis to understand how accounts are performing across volumes, margins, and pricing. Making time for revenue generating tasks and improving customer service impacts the bottom line while raising customer satisfaction. Improve customer satisfaction, employee satisfaction and the bottom line. Balancing workloads with fluctuating demand is a constant frustration for every distributor. But with sales order automation you can enjoy the flexibility to handle the ebbs and flows of your business with ease. The single most important benefit of sales order automation is the capacity it creates for future growth. Doing more with less allows you to simplify your business and become more agile. In turn, this helps you to maintain a competitive edge as a leader in your industry ready for expanding into the future. Sales order automation gives you the ability to do more with less!